Flip a coin. If heads, the attacking Pokemon does twice the amount of damage to the defending Pokemon. 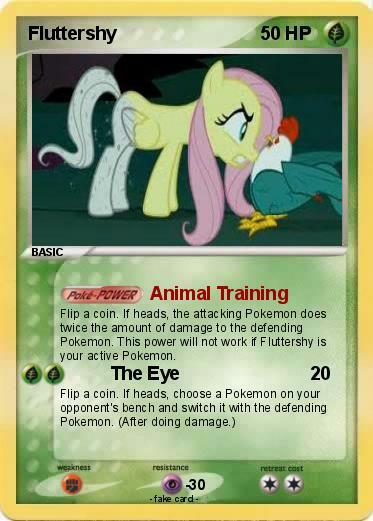 This power will not work if Fluttershy is your active Pokemon.